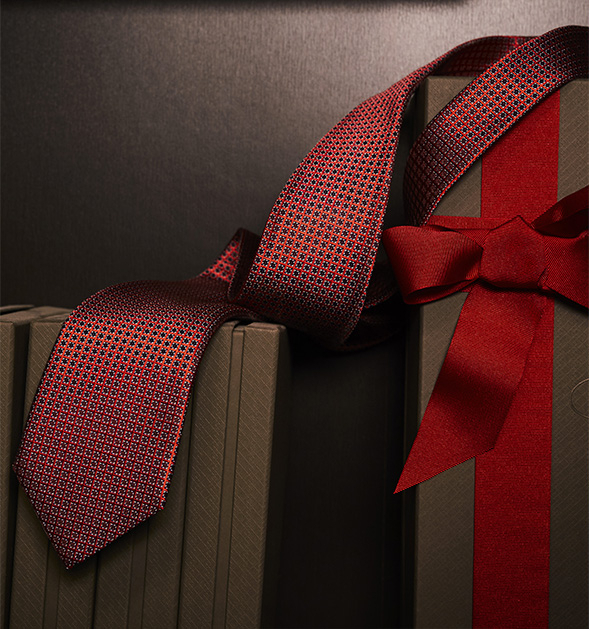 Brighten up his holiday season with the gift of sartorial elegance. 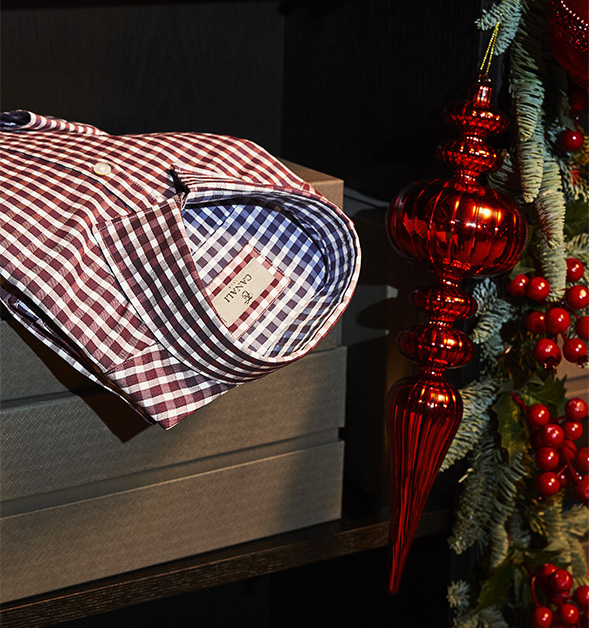 Browse our garments, accessories, and winter exclusives to pinpoint the perfect Made in Italy present. Designed to impress, built to endure. 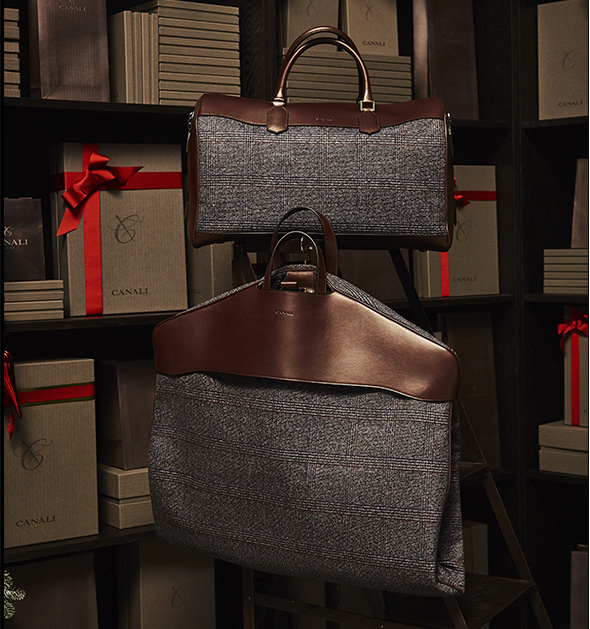 Our holiday capsule collection is perfect for the man on-the-go thanks to our exclusive Impeccabile material. Five unique water-repellent and stain resistant travel bags were specially created with both weekend getaways and long-term nomadic pursuits in mind. 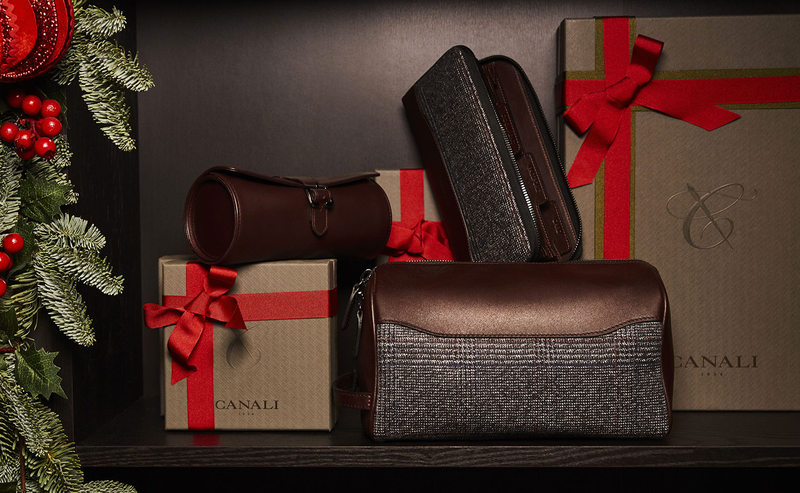 A checked pattern and leather details in gray and Bordeaux hues characterize these festive gifts for the seasoned traveler. 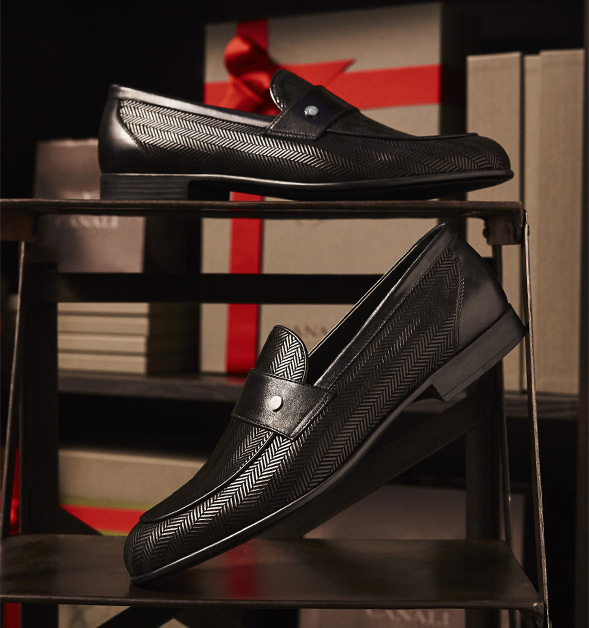 Regardless of whom you may be shopping for this season, our gift guide will help you find that special something for every man on your list. 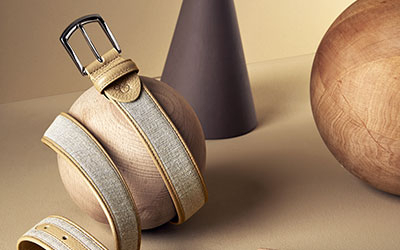 Whether you select a classic belt that will stand the test of time, a patterned scarf that speaks to the trendsetter, or a stylish yet functional leather backpack; an elegant Made in Italy piece from our collection makes for a gift he will treasure. A crisp white dress shirt in premium cotton. A pair of polished leather derby shoes. A supple wool-silk sweater. Some things never go out of style. Browse our selection of timeless goods and wrap up a piece of Made in Italy elegance. 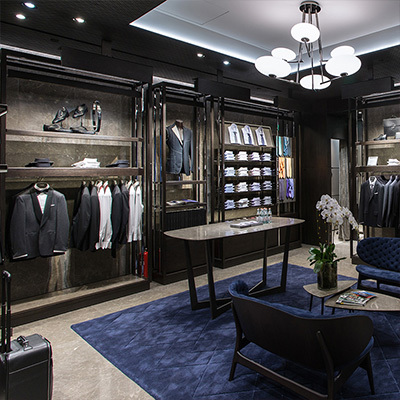 Whether you are shopping for the refined gentleman with a taste for finer things or for the man who has everything, our selection of classic pieces is full of infallible options. 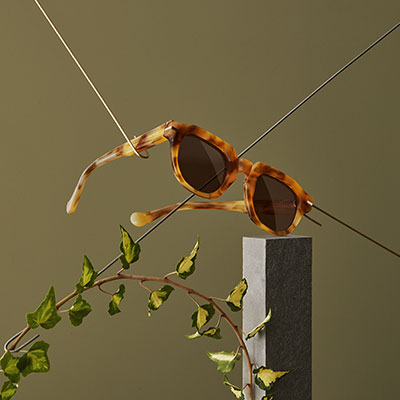 A vibrant patterned scarf, an alternative bag in green leather, a pair of modern tortoiseshell sunglasses; all are excellent options for the trendsetter in your life. 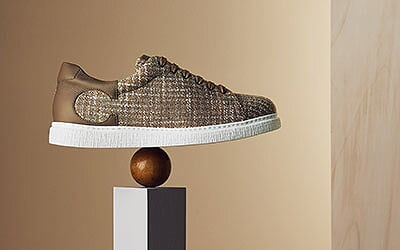 Look through our curated contemporary pieces to find the perfect match for the sophisticated individual who is always ahead of the latest fashions. Sometimes the best gift is the one he didn’t know he needed. Surprise him with one of our fashionable yet functional items with captivating features. The practical and elegant traveler would surely love a genuine leather wallet with compartments for all of his documents. 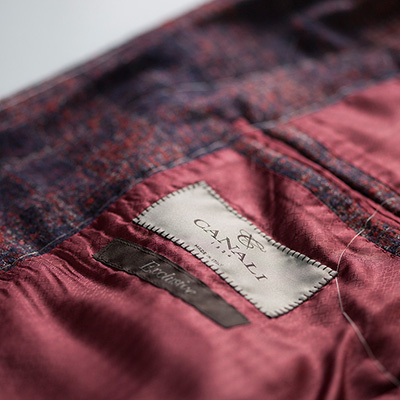 Alternately, wrap up a pair of crease-proof pants that allow him to disembark from a red-eye flight looking stylish and unwrinkled. 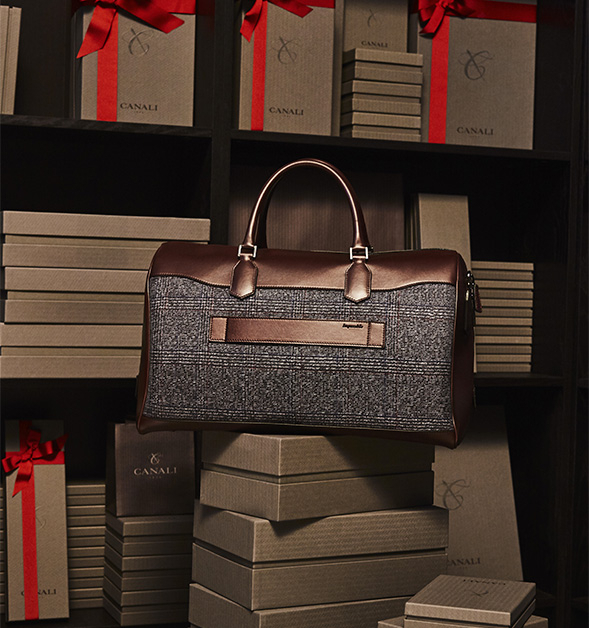 Fill his stocking with intricate pieces of luxury that will stand the test of time. 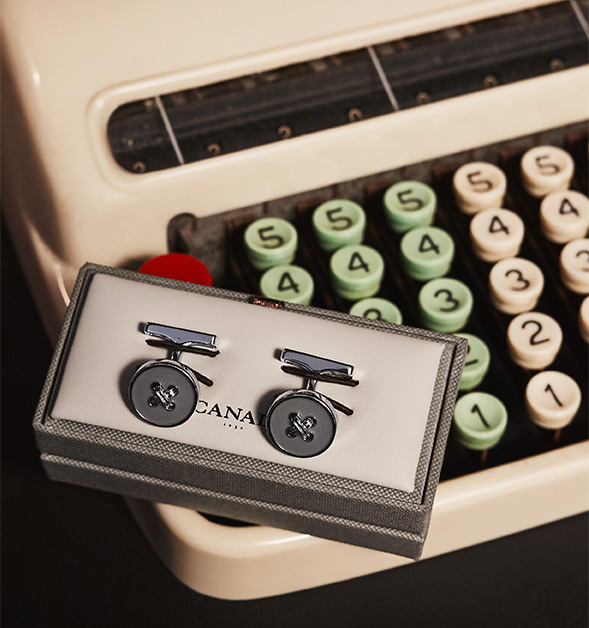 Rhodium cufflinks, tumbled calfskin wallets, knitted wool ties, and cashmere scarves, are all proof that good things come in small packages. 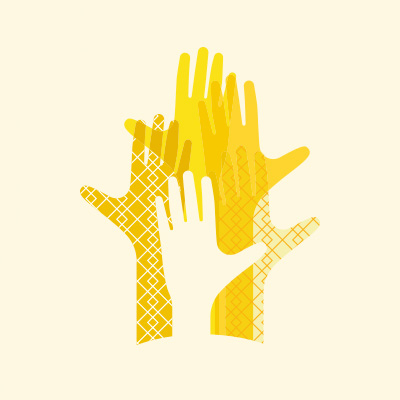 Browse our accessories for a thoughtful something to give to a loved one this season. Holiday shopping isn’t just about the hunt for the perfect gift. Between seasonal soirées such as family get-togethers or dinner with friends, your own personal style will be in the limelight. 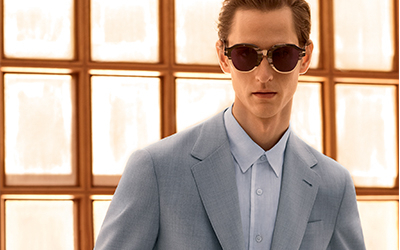 Explore our selection of refined separates in order to arrive at each event feeling sophisticated and confident.